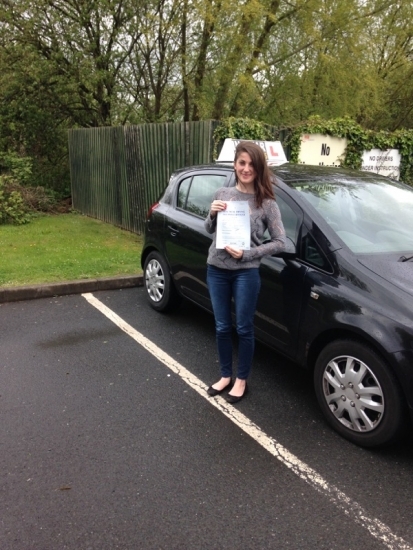 Caroline passed with Steve Lloyd on 6/5/15! Well done! Caroline says " Thank you very much to Steve Lloyd, what a great instructor! He helped me pass first time! He stayed calm and patient which helped me so much throughout the process. The lessons were enjoyable and instructive, which gave me confidence in my driving. Although i am really glad to have passed my test, i must admit I´m going to miss driving him around! ".